Tourism Australia has embarked on its latest global marketing campaign, this time minus celebrities, bad slogans and shrimp on the barbie. The campaign, ‘There’s nothing like Australia’, is focused around a website that features more than 30,000 images and stories of personal holiday experiences of ordinary Australians. Tourism Australia managing director Andrew McEvoy said the new program, launched yesterday at Australian Tourism Exchange (ATE) in Adelaide, would complement the existing ‘No Leave No Life’ campaign. “Australians have identified our people, wildlife, beaches, the reef, the outback, vibrant cities and laid-back lifestyle as the things that make Australia a unique and special place to visit,” he said. “These suggestions are highlighted in all the elements of the new campaign. “Our research found that 80 per cent of Australians wanted to promote their country as a travel destination so we invited them to share their pictures and stories at the campaign website. “Now potential travellers around the world will be able to access this information using the latest interactive digital media technology at www.australia.com and www.nothinglikeaustralia.com to research and plan their trip to Australia,” he said. A print, online and TV campaign was launched simultaneously by Tourism Australia yesterday, with the new commercial already receiving mixed reviews from advertising experts and general Australians alike. The commercial features regular Aussies singing elements of a new song, ‘There’s nothing like Australia’ and was filmed across the nation. McEvoy said the song, written by Josh Abrahams, represents a back to basics approach by using music to ensure that consumers remember the advertising long after they have seen it. Immediately following the campaign announcement, McEvoy also revealed Tourism Australia had signed a new three-year, $44 million partnership, to market Australia internationally as a tourist destination. 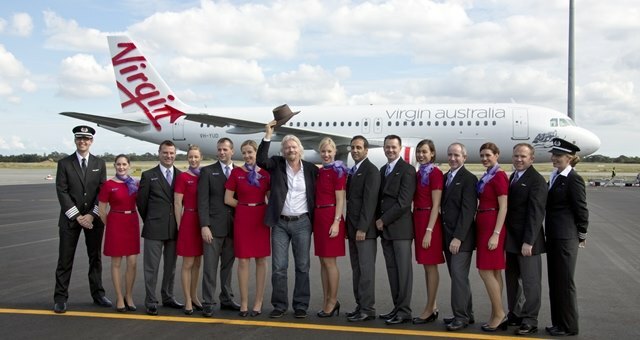 “No other airline in the world puts Australia at the heart of everything it does and that’s why the partnership with Qantas is critical to the future tourism growth,” he said. McEvoy said the joint Qantas and Tourism Australia multi-million dollar activity will take place across Europe, Asia, US and New Zealand.